Product Condition: The Punisher Ski Poles is in Excellent condition. Like new item in excellent condition without factory tags. Click into your bindings and point your tips downhill with the Scott Punisher Ski Poles strapped to your wrists. 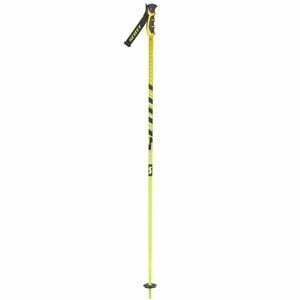 These aluminum all-mountain poles are burly enough for crashing through trees and light enough to hammer quick turns when you pop out of the woods and into a mogul field. A leather strap ensures they won't leave you hanging after a hard landing, and eye-popping graphics are sure to turn heads.